View of Sesqui-Centennial International Exposition site approximately one year before the event. 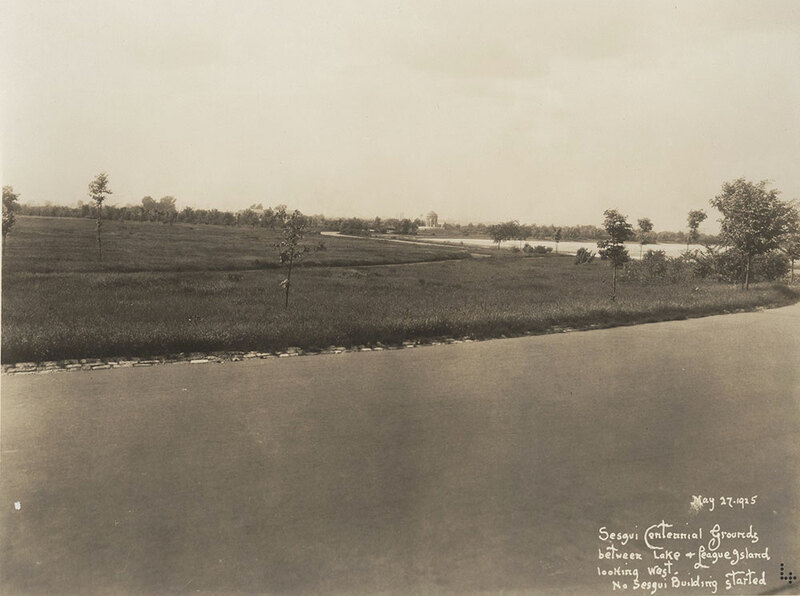 "Sesqui-Centennial Grounds between Lake & League Island looking West. No Sesqui Building started"